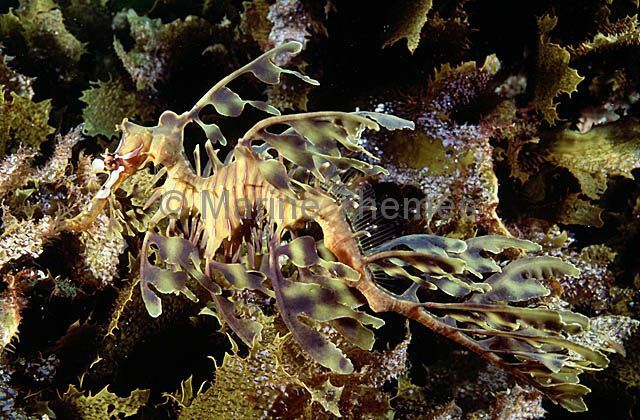 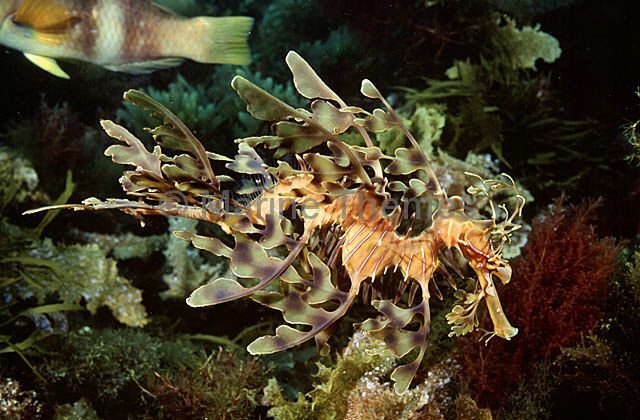 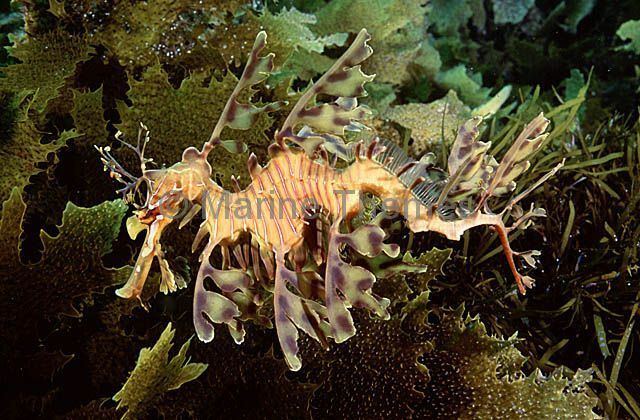 Leafy Seadragon (Phycodurus eques) Camouflage. 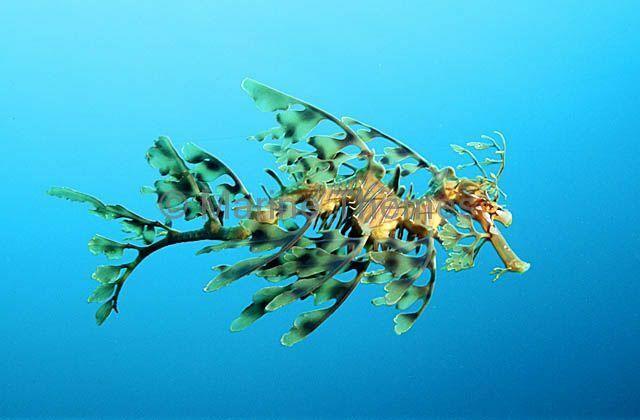 Mimicry of kelp environment. 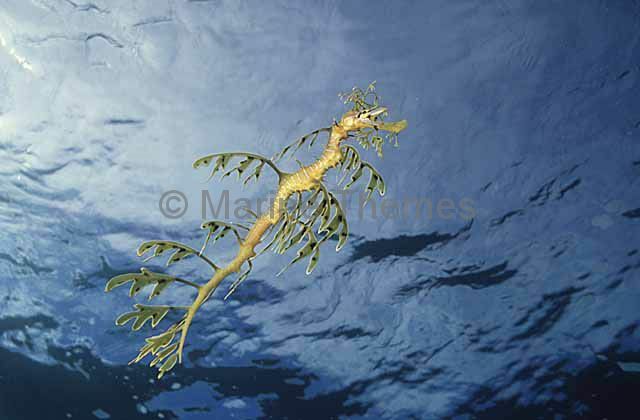 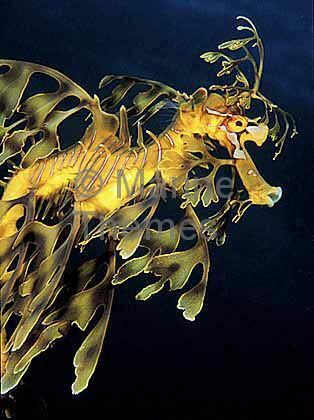 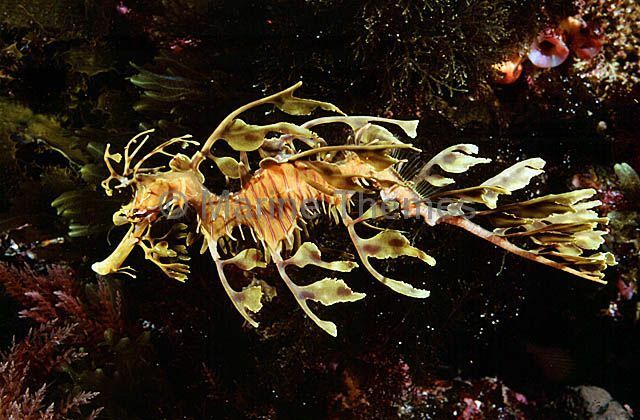 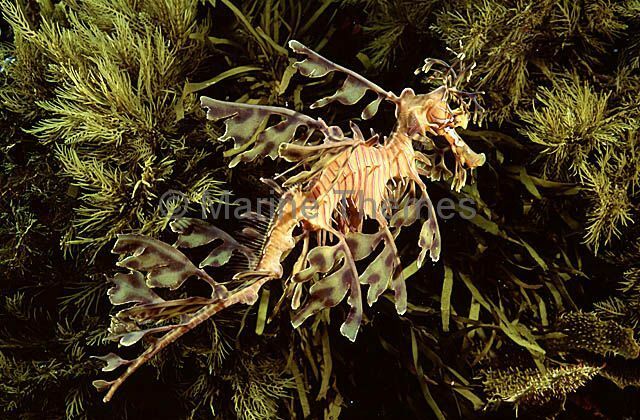 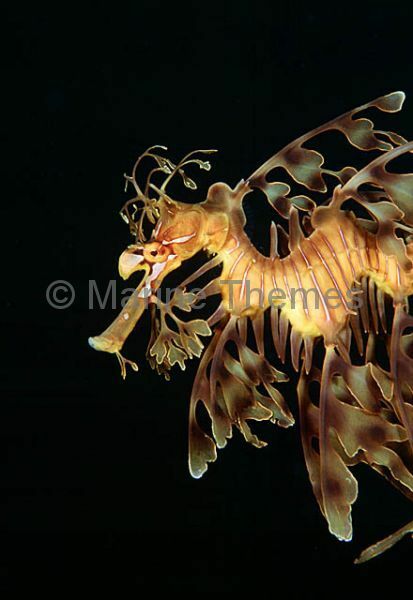 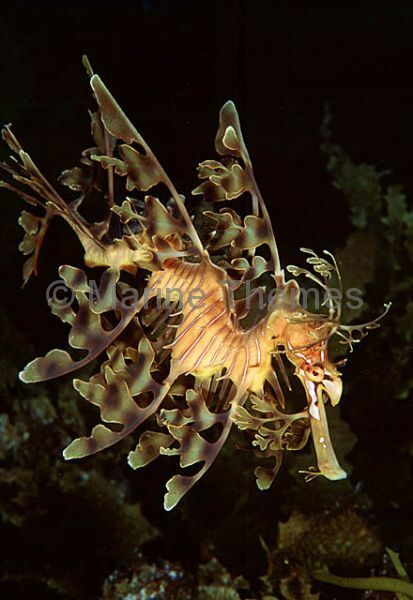 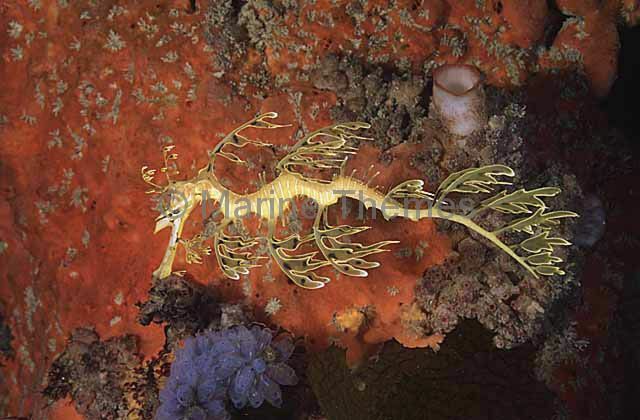 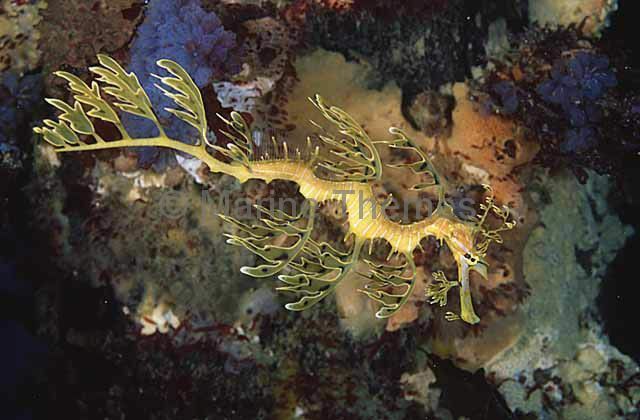 Leafy Seadragon (Phycodurus eques) adult showing camouflage while among kelp. 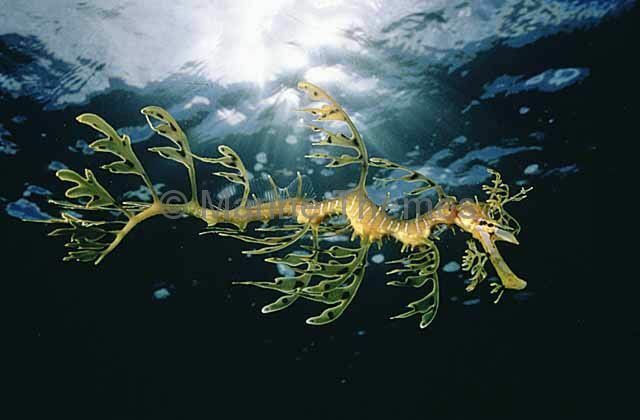 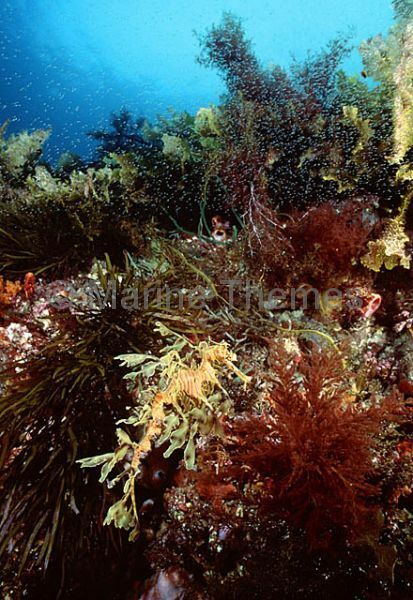 Leafy Seadragon (Phycodurus eques) swimming in mid water above kelp covered reef. 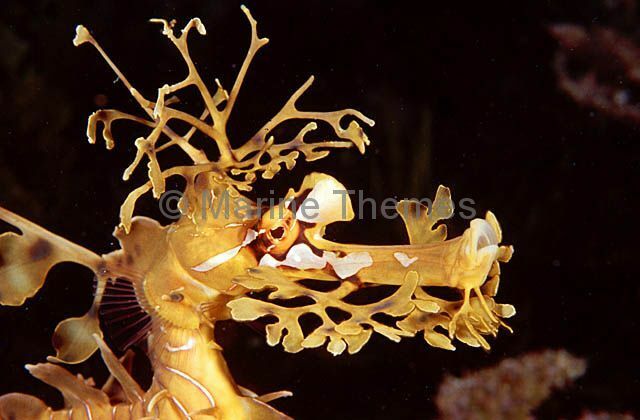 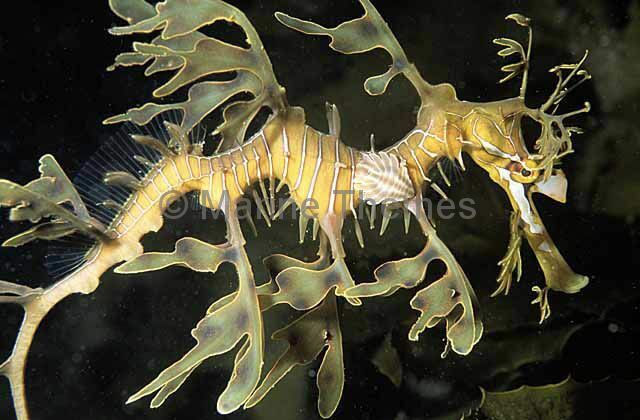 Leafy Seadragon (Phycodurus eques) feeding on school of mysid shrimp. 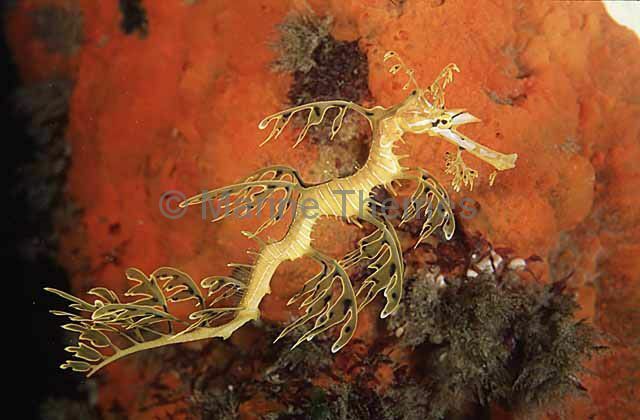 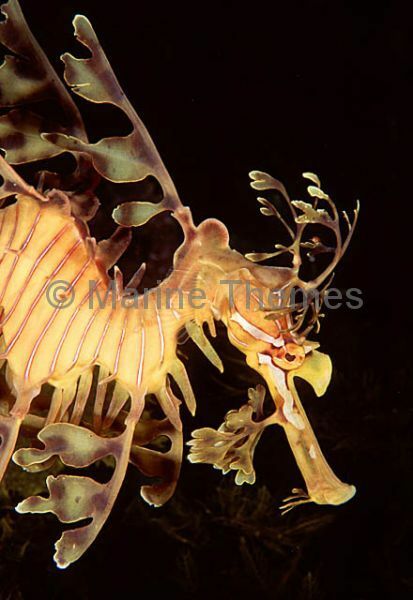 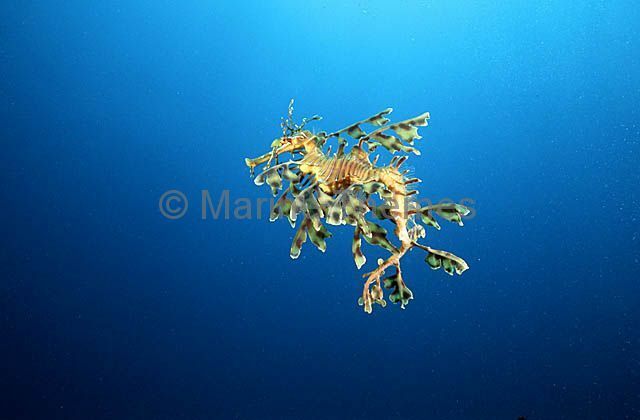 Leafy Seadragon (Phycodurus eques) Juvenile. 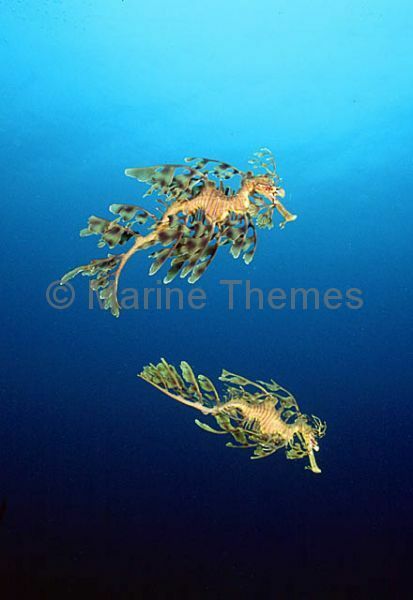 Leafy Seadragon (Phycodurus eques) with Striped Sea Louse (Nerocila laticauda) parasite.